Many introductory posts in the internal part of the forums says something like "I've played before, but made this new alt for PvP and OUCH". This is something I don't really understand why people would do, and I thought I would say a few words about it here. If you already have a character, then no matter what that character has done before, he will be better suited to PvP than a completely new character. Even a pure industrial character will be better suited than a new one, since skills like Science is actually needed for some PvP skills. (A pure trading character may not be better, but he won't be worse). So, please, don't make a new character just because you want to try PvP. That is just wasting skill points and training time. That said, there are of course valid reasons to make a new PvP-only character. 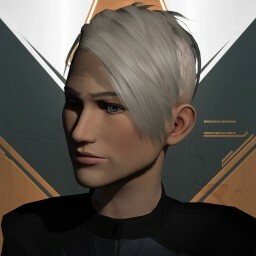 Maybe you want to keep your main as an isk-generator to support your new PvP-alt. (You could consider training an isk-generator alt instead. A trade-alt is a quick train). That is all I wanted to say. Thanks for listening. I agree with MT. Go figure. I thought about making an alt when I joined OUCH, but I realized that I want to be Bren, so I am playing Bren. I may have made some mistakes building him, and not learning the right skills, not getting ALL my learning skills to 5 or whatever, but when I needed to be a Frigate 5, I already had it. When I need to move stuff, I already have a Badger II. When I need to mine, or rat, I have those skills already trained up. I came to OUCH with BC 4 and Frig 5. That's time spent that I did not have to redo on a new char. Your killboard is a record of your PvP. If you have a hundred losses, who cares, people will underestimate you and you'll get quality kills and we'll laugh about it. So don't throw away your main for the KB... that's silly.